Giveaway full version Cyberlink Power2Go Platinum license key code. Download the installer with genuine serial key on the offer. The burning tool that usually priced $69.95 is now absolutely free. But the same license code for Cyberlink Power2Go Platinum given to everyone. Cyberlink Power2Go Platinum features is almost like Ashampoo Burning Studio with plus tool. Cyberlink Power2Go Platinum is advanced tool to burn data on discs. The latest version support CDs, DVDs and Blu-ray and it support 128GB BDXL. Cyberlink Power2Go can create encrypted disc using military-grade encryption algorithm. This burning tool also features with built-in downloader to backup online media (photo and video) from Facebook, Flickr, YouTube, etc. This powerful disc burning now 100% free. Everyone can download the software with genuine serial license key. Save $69.95 on this Cyberlink Power2Go giveaway. You must download the software with its genuine license key before the offer expires. It not the latest version. Cyberlink Power2Go Giveaway page: visit the promo here! At first, visit the promo page that mentioned on this post. Participate in Cyberlink quick survey. Complete the survey with valid information. After completes the survey, you’ll get download link and genuine license key. Or you can short all steps above by visiting download page here. Download the installer then copy the license key to activate. As mentioned above, the giveaway version is not the latest. If you need the latest version, buy Cyberlink Power2Gowith discount using the following link. Earn $24.48 discount on our list. Discounted price $45.47: Buy now! The vendor also provides big discount for other product. One of the best product is multimedia player Cyberlink PowerDVD. Copy data to disc, DVD, or Blu-ray disc. 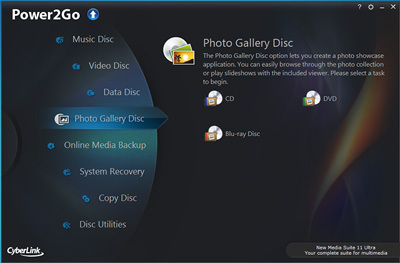 Also can create 1:1 disc copy or backup. Drag and drop features to add data for burning easily. Social data photo and video backup tool because it features with built-in downloader. Military-grade encryption algorithm to create secure disc. Support the latest disc technology. Cyberlink Power2Go Platinum is complete disc burning & copying that support CDs, DVDs and Blu-rays. The software provides all tool you need for burning purpose.